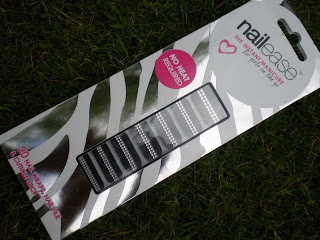 In the past few months i've seen lots of bloggers featuring nail wraps and i've been interested in trying them but I always seem to miss them when i'm shopping! I like the idea of them as they're a lot less messy than applying nail polish, don't take any time to dry and come in lots of really nice designs. 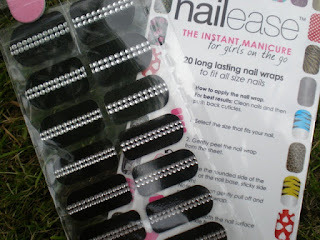 Nailease have recently launched their 3D Diamante and Metallic Foil nail wraps which feature lots of different styles including Union Jack designs for the Olympics which I love. When I applied the nail wraps I expected it to be quite simple as they're a bit like stickers but I actually found it really tricky and it took longer than it would to paint my nails normally. They didn't always fit my nail perfectly even though there are lots of sizes to pick from so I had to trim some of them which wasn't easy. The instructions advise you to file off any excess but I preferred to cut the majority of it off and file down the rest as its a lot easier and means you can use the spare piece you've cut off on another nail. They stick fairly well although the ends do stick up a little bit where you've filed them so mine didn't look as neat as I would have liked. Although I found them hard to apply, I did like the way they looked as they make your nails look a really nice shape and from a distance you can't tell they're just stickers. The pack says they last for up to 10 days; I found mine only lasted for 4 as they peeled off when water got between them and the nail. I didn't apply a clear topcoat to them so this might have made a difference to how long they lasted but i'm not sure. Overall I did like the way the nail wraps looked but I did find them hard to apply which has made me a bit reluctant to go out and purchase them myself. 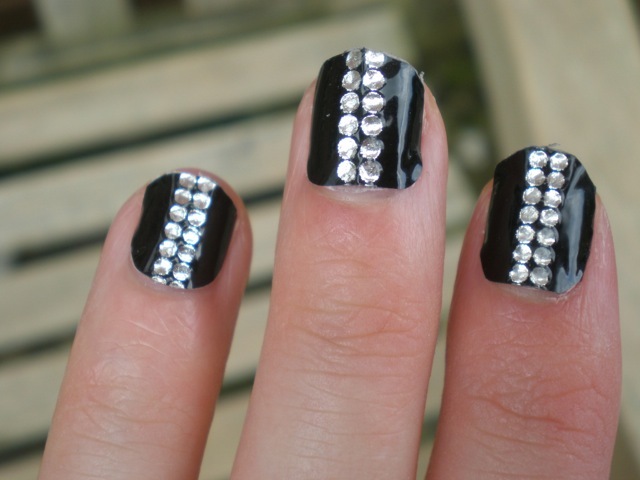 I think I would consider buying a couple of packs to take on holiday as I hate taking my nail polish with me incase the bottles break and these would fit easily into a suitcase :) I also think they're good if you want a pattern or diamante design as it would be quicker to apply these than create your design by hand. Each pack comes with 20 nail wraps, a nail file and a cuticle stick which means you can apply them on the go as you have everything you need. I really like them! Super cute!